The Rev. Canon Julia Whitworth led the ritual in a long, golden robe. 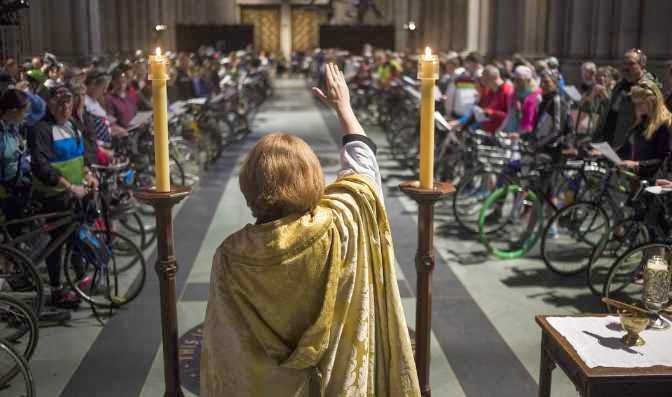 She said it doesn't matter whether you're a regular churchgoer, or if biking is your true religion. And that's why she has the service, she said: "To pray - for those of us who are people of prayer - pray for safety and joy and fun and appreciation for being in God's creation."